← ♫ Walking Tall with Jim Perry, Eternal Radio. Posted on September 2, 2015	by Laura Maxwell, BA (Hons). On Halloween, Deborah Hawkins was initiated into Witchcraft! 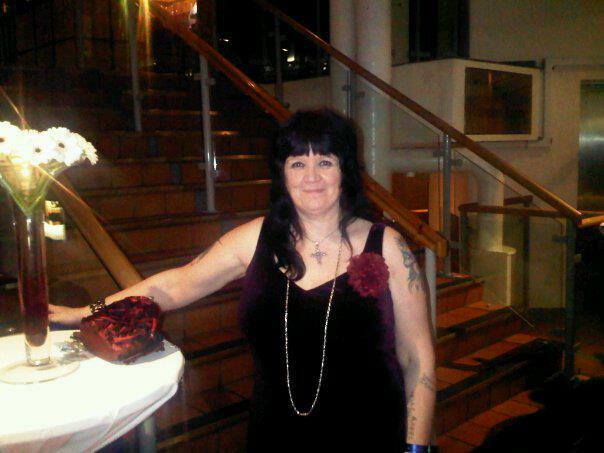 Ex Black Arts Satanist, Deborah Hawkins shared part 1 of her story on my radio show on 2nd Sept. Hear it below! She was interviewed by Doug Harris on Revelation TV. 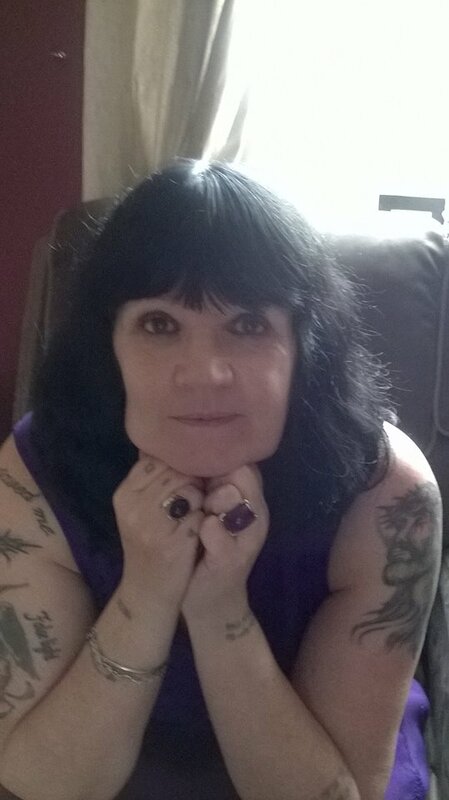 She has spoken on radio shows and her story has featured in The Cambridge Press and other publications. We’ve both been looking forward to this interview for many months! Her story was divided into four 1 hour interviews, so please tune in over the coming weeks! Part Four will air on 16th, 17th, 23rd and 24th October as a Halloween Special! Remember the famous true story of Doreen Irvine – Europe’s Queen of the Black Witches? She wrote From Witchcraft to Christ. I read it 18 years ago and it reminds me of Deborah’s story! I found it thrilling when Deborah was still a Satanist, she was actually taken to a church to hear Doreen Irvine preach! No wonder, Doreen’s story opened Deborah’s eyes to the truth that set her free! From infancy, Deborah was abused sexually and introduced to the occult. She endured more suffering in children’s homes. Such tragic events and trauma led her into drugs, crime and the Black Arts. She joined witches in Brighton who also practised Chaos Magic and the darker side of Witchcraft. She followed the basic Witchcraft teachings of Doreen Valiente, a Wiccan/Pagan. At that time, Valiente was known as the ‘Mother of modern Witchcraft’. Then Deborah progressed onto books by Richard Cavendish, Anton La Vey, The Satanic Bible and other teachings. During her punk stage, she discovered Satanism. Not surprisingly, she suffered a nervous breakdown. She was admitted to a psychiatric unit – the closed unit in a Borstal. I highly recommend hearing this show! Maybe you have family or friends involved in such activities and you long to warn them? If so, please tune in! My interview with Deborah airs this Friday, 4th Sept, from 9–10pm, UTC, London Time. The repeat will air on Saturday, at 11am, then also 7–8pm. It’ll also be repeated the following Friday and Saturday, at the above times too! Part Two airs on the 18th and 19th September and repeats the following weekend. Part Three airs on 2nd and 3rd October and repeats the following weekend. Part Four airs on 16th and 17th October and repeats the following weekend 23rd and 24th October as our Halloween Special! Special Halloween Show on The Supernatural with Laura Maxwell. 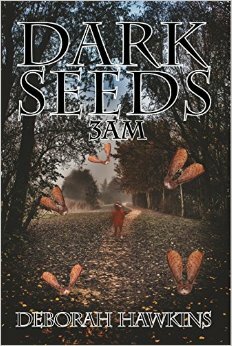 Dark Seeds 3am by Deborah Hawkins. “This is a true supernatural story; of one woman’s battle with evil that began in her childhood and how she won against adversity in the end. In this remarkable tale of a life in a seemingly unstoppable downward spiral, our eyes are opened to see a human cocktail of desperation and hope, rejection and love, death and life that will make your heart race. Deborah describes her beginnings as a child subjected to the paranormal. In this remarkable tale of a life in a seemingly unstoppable downward spiral of occultism, drugs, abuse and rebellion, her search for love was shattered. Underneath it all is a palpable, menacing threat of evil that manifests itself physically. See this Web Page for more details of Deborah’s book and how to order copies. You can also read the first 12 pages FREE! Or you can order it from this Amazon link. Deborah is available for public speaking events. She is now a committed Christian and trained counsellor. To listen to future episodes, visit http://tunein.com/radio/Eternal-Radio-s155805/ at the above times. You DON’T need to download that radio app, to listen to it! You can also hear Eternal Radio through your Smart TV via ‘Tune In’. Please join me, in praising God, for my program. Also for the freedom we still have to share the Gospel and Christian testimonies via the internet and social media. We can’t take such opportunities for granted, especially in these last days. This entry was posted in Angels, Buffy The Vampire Slayer, Challenge & Test The Spirits!, Charmed, Dead People, Deliverance, Divination, Elite, Ghost Hunting, Gothic, Halloween, Heaven and Hell, New Age Luciferianism, Occult, Paganism, Radio Programs, Satanism, Seance, Spirits & Ghosts, Spiritual Warfare, Spiritualism, Testimonies, The New Age, The Supernatural With Laura Maxwell, Witchcraft and tagged Anton LaVey, Black Arts, black magic, Borstal, Brighton, chaos magic, Children's home, Dark Seeds 3AM, Dark Seeds 3AM by Deborah Hawkins, Deliverance, Demons, Doreen Irvine, Doreen Valiente, Doug Harris, From Witchcraft to Christ, Halloween, Medium, nervous breakdown, Occult, Psychiatric Hospital, Psychic, Punk, Punk Satanism, Revelation TV, Richard Cavendish, Spiritualism, Testimony, The Supernatural with Laura Maxwell, Witchcraft. Bookmark the permalink.